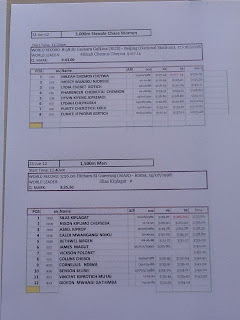 A very slow and tactical race in 5k women...Vivian is the best ever now!! !..I was sure about Sally Kipyego very improved this year and congrats to Viola Kibiwott able to finish strong in a slow race.Incredible out Lineth Masai:maybe wildcard for her??? 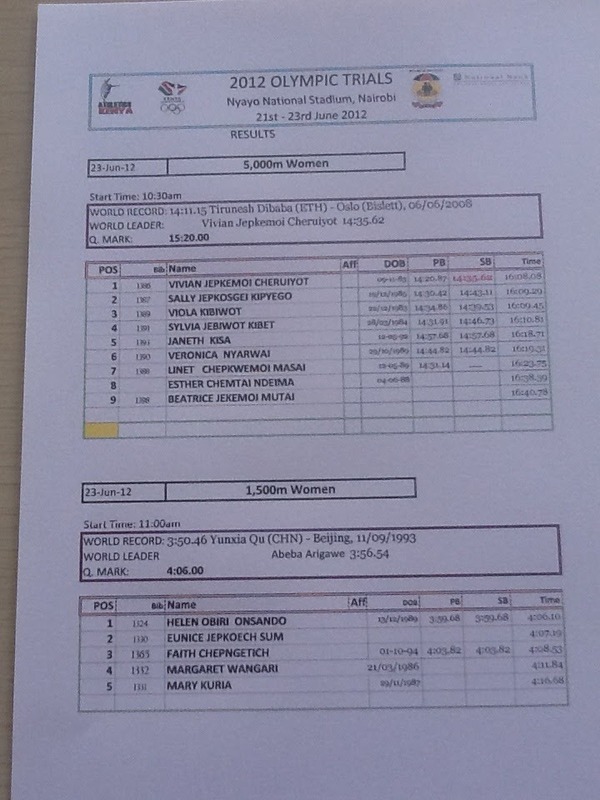 Only five athletes in 1500m women and preditctions become sure...Obiri,Sum and young Chepngetich...very strong team!! 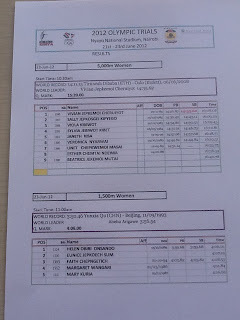 Absolutely no surprises in 3k steeple women with Chemos,Nyoroge and Rotich. 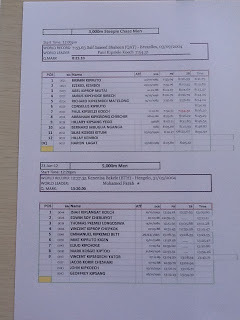 800m sure for Jelimo and Jepkosgei:third name quite a surprise as Winnie Chebet. 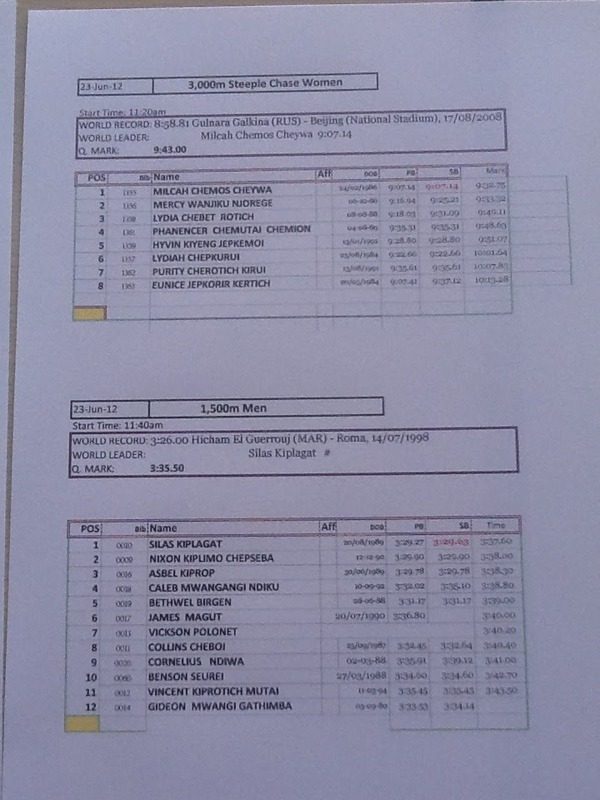 800m was a fast race to be at Nairobi:Rudisha won under 1'43"! !...Two young guys will be with him in London as Timothy Kitum and Anthony Chemut Kibet. 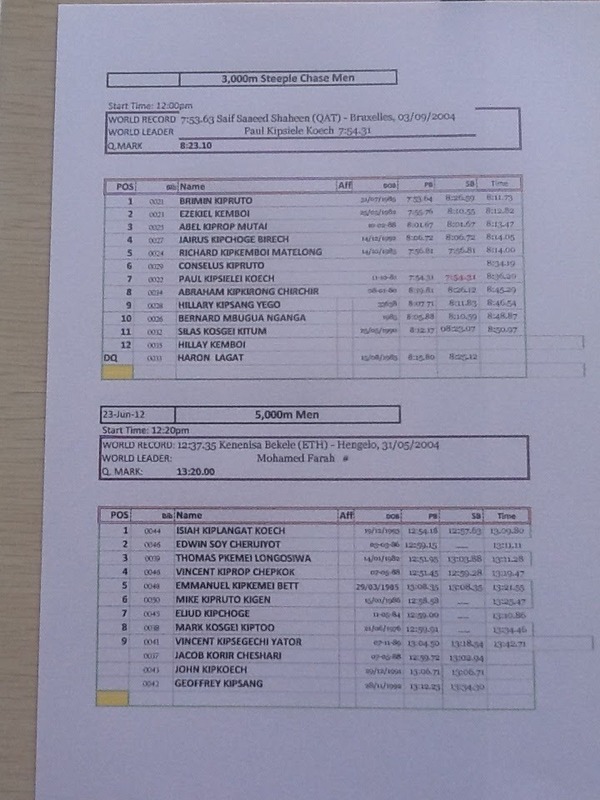 Out Job Kinyor and Alfred Yego!! 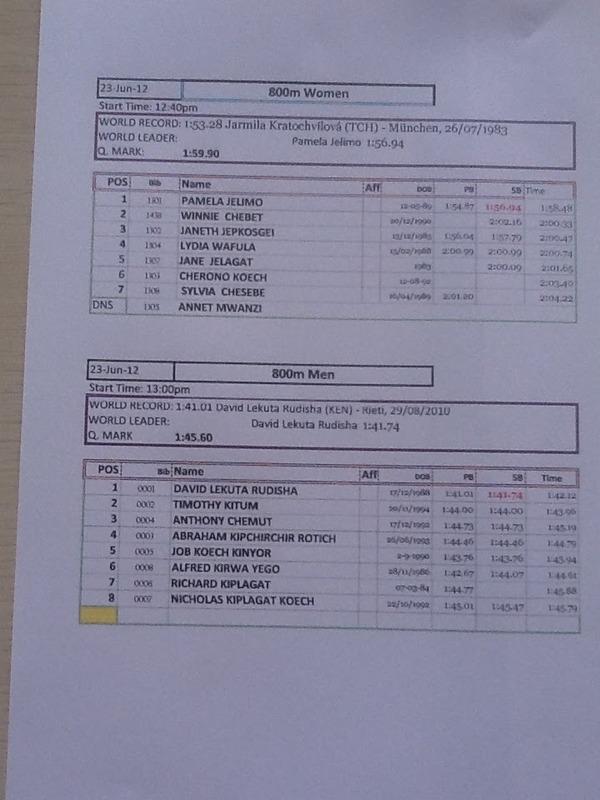 The royal battle in 1500 is won by Silas Kiplagat in front of Nixon Chepseba and Alfred Kiprop...the best three!! In the steeples...Paul Koech is out!!!!! and no wildcard for him! !Absolutely incredible! 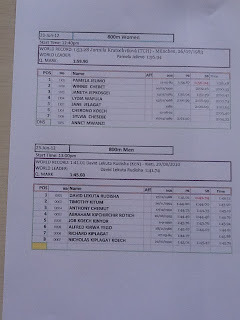 !Brimin Kipruto and Ezekiel Kemboi with the quite unknown Abel Mutai..
My predictions still good also in 5k where Isaiah Koech won the race in front of Edwin Soi and Thomas Longosiwa!! Kenya has also this year and incredible team...london is becoming more interesting with these names! !